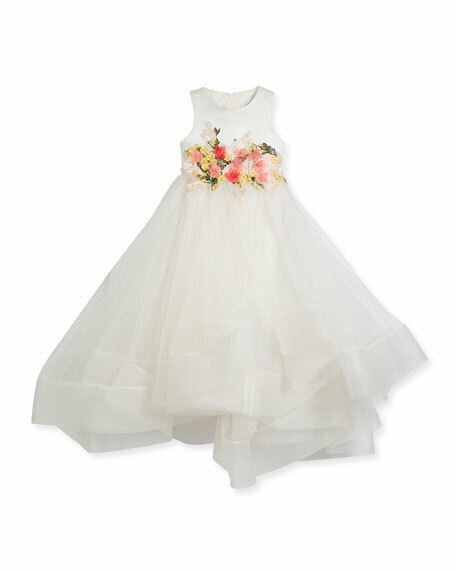 Little Miss Aoki tea-length gown with full tulle skirt. Flower embroidery and beading at bodice. For in-store inquiries, use sku #2540755. Joan Calabrese satin dress with tulle. Crystal embellishment at waist. Bateau neckline with crystal trim. Cap sleeves. Faux self-covered button back conceals zip. Fixed bow at back. A-line silhouette. Tea length. Polyester. Imported. 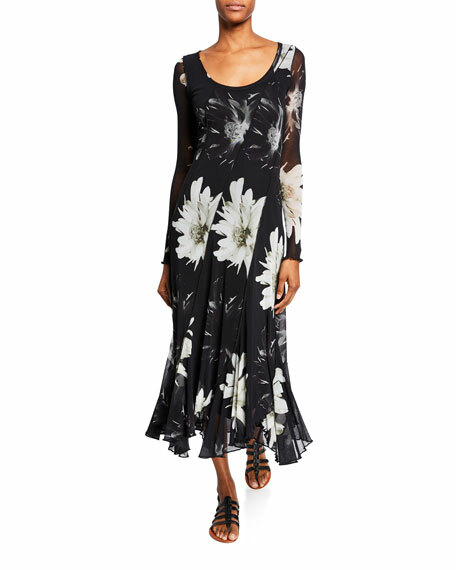 Marchesa Notte embroidered cocktail dress featuring 3D flowers, cutout back, and contrast trim. Jewel neckline; V-shaped back. Sleeveless. Mid-back closure. Sheath silhouette. Mid-thigh length. Straight hem. Hidden back zip. 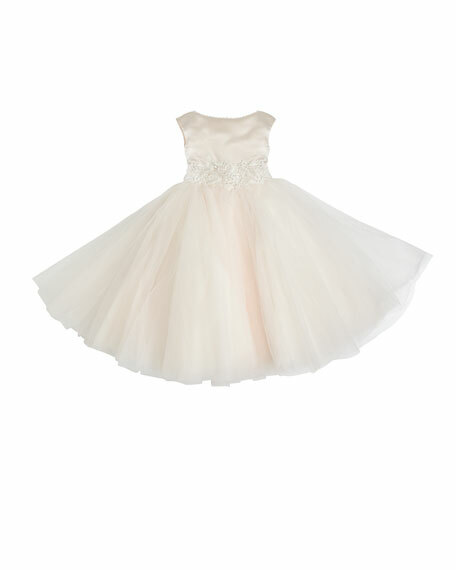 Nylon, tulle. Polyester/metallic, embroidery. Imported. 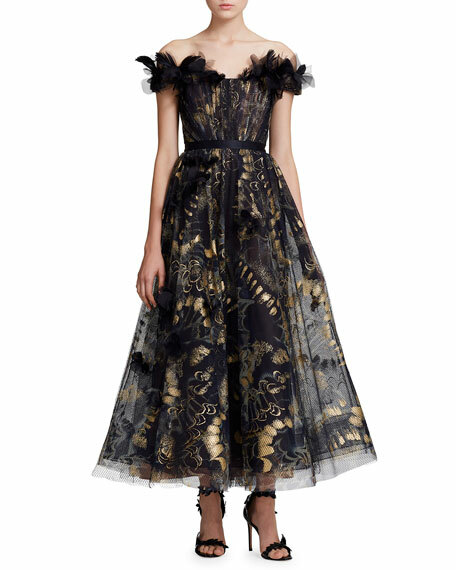 Marchesa gown in foiled floral-print tulle. Off-the-shoulder neckline with ostrich feather butterfly appliqu. Short sleeves. Ribbon banded waist. Full skirt. Tea length. Back zip. Silk. Bodice, nylon/spandex. Lining, silk/spandex. Made in USA of imported material.